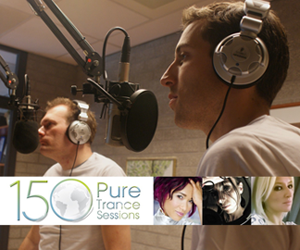 The first week of September we will have the 150th episode of Pure Trance Sessions! This special episode will not only be mixed by Westerman & Oostink, it will also be hosted by them! This show will only be available to and broadcasted at our stations! Broadcast schedule: 3th till 9th of September so be sure not to miss it as the show will become online afterwards as a regular broadcast as usual! In this show we will have the favourite tracks of Suzy, Laura and Ursula and Westerman & Oostink will be talking to them about that. The 150th broadcast is made possible by RTV Hattem.